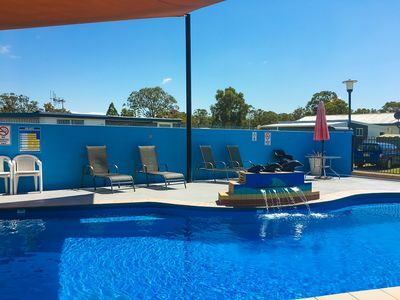 If you are looking for a family holiday spot or just a weekend escape with your four-legged friend, Big4 Colonial Holiday Park is the place to be in Harrington. Family owned and operated with great holiday savings, it’s hard to drive past. The range of accommodation is varying and caters for all budgets and families. There are no extra accommodation costs associated with having your pet stay with you. However, a $50.00 pre-authorisation is charged against your credit card upon arrival if staying in a cabin. The extra charge is released upon inspection of the cabin being satisfactory on check-out. With 14 cabins altogether Big4 Colonial Holiday Park certainly has something to suit everybody. All cabins are supplied with linen and towels. Pets are allowed inside cabins provided they have their own bedding. 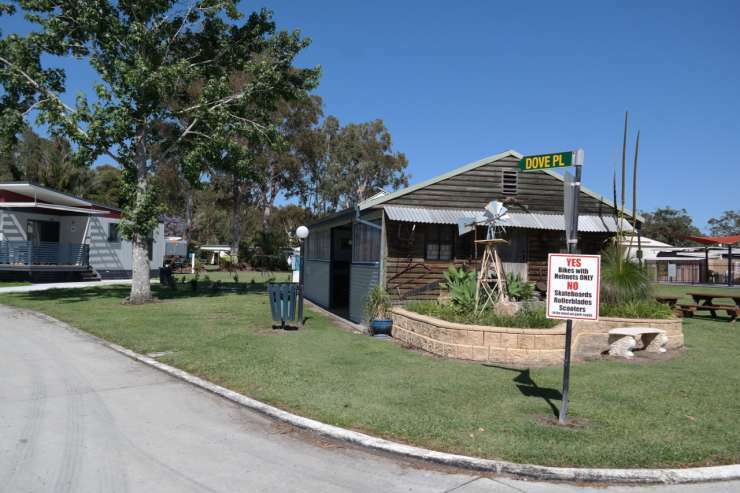 The outside verandah area is fully fenced and suitable for pets to be left outside. When it comes to cabins options, the open plan studio cabins are a budget friendly favourite for a quick stop over, they are fully self-contained with kitchen & ensuite and can sleep up to 4 people. The 4.5-star Executive 2-bedroom family units offer accommodation for up to 5 people in 2 separate bedrooms. 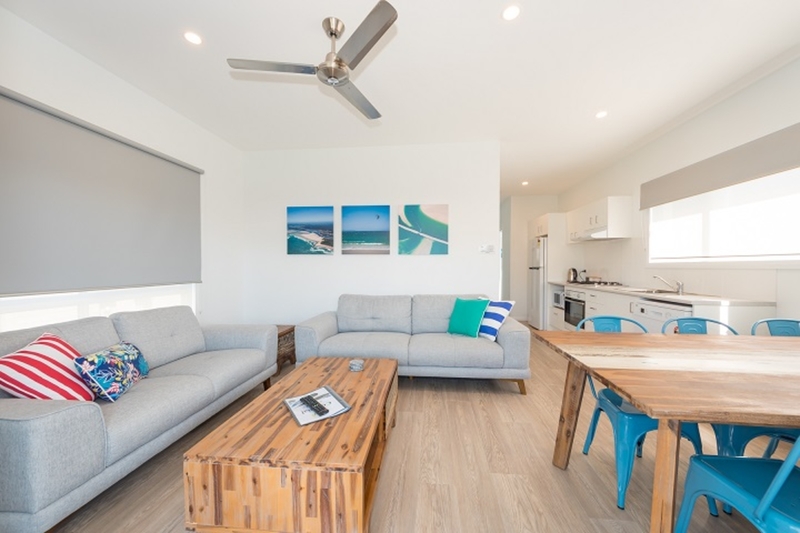 The modern open plan lounge, dining and kitchen make it perfect for a relaxing family holiday. 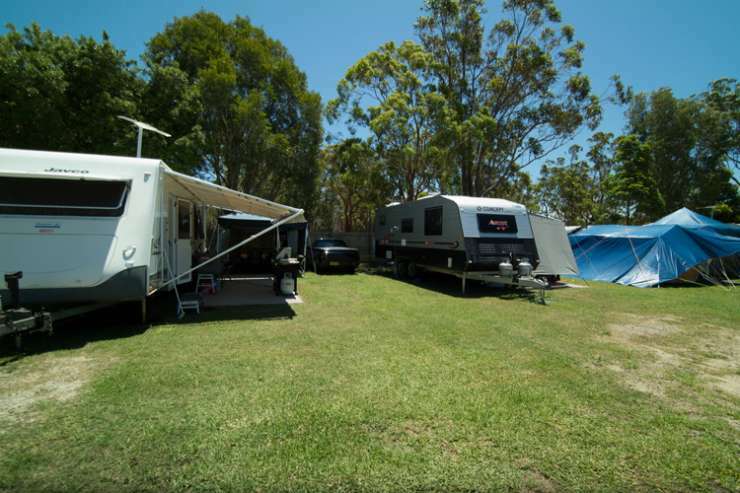 If camping is more your style, choose from one of the 31 sites that best suits your caravan, camper trailer, RV, or tent. 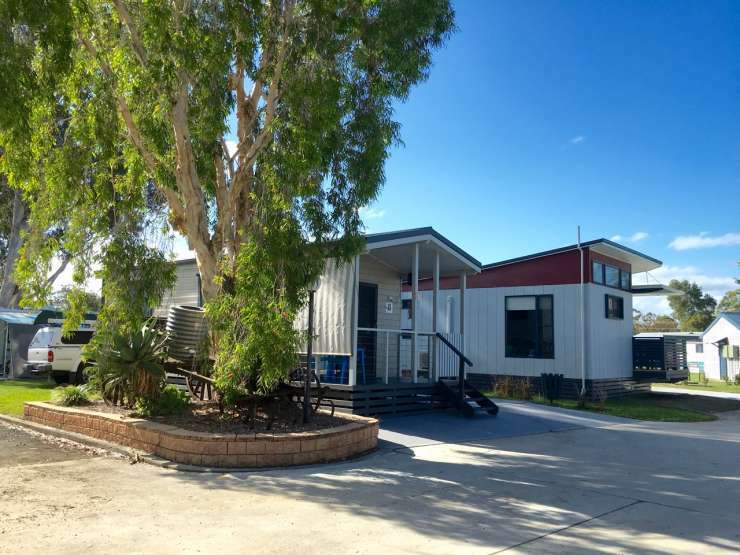 All sites are serviced by a modern ensuite style amenities block and BBQ area. 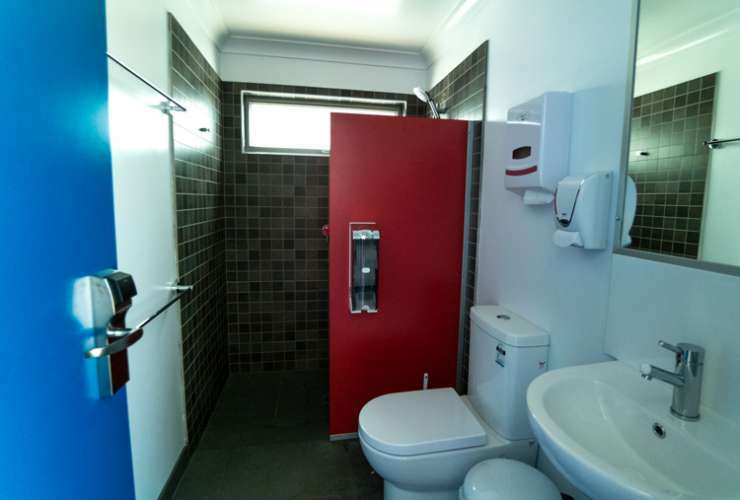 Designed with privacy in mind, the 11 ensuite cubicles have key card access to a shower, toilet and basin. Whether you are camping or staying in a cabin, there is plenty of room to walk your pet around the park grounds. You can also take a dip in the pool, meet friends at the undercover camp kitchen and dining area, make use of the free Wi-Fi and enjoy the parks quiet ambiance and abundance of wild birdlife. The park is situated only two minutes from the Supermarket, café, pharmacy, bakery and community village. Courtesy buses from Harrigan’s Irish pub, Club Harrington and Harrington Hotel are available to order for pick up and drop off. Ask at reception for details about booking a bus. 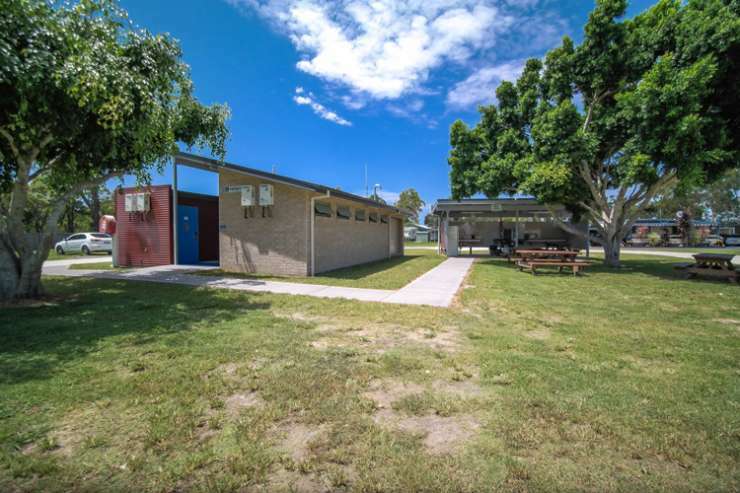 Harrington and Crowdy Head offer great fishing whether it be in the river or in the ocean, with a boat ramp in Harrington for river fishing and boat ramps at Crowdy Head for ocean fishing. Cabins are non-smoking. Accessible cabin option available. Nightly and weekly prices are per couple, extra adults are 14 years & over, child rates are 3 to 13 years. Prices shown are off peak in AUD. Check the website for latest special offers for great savings. Extra Adult $5/night, Child $3/night. 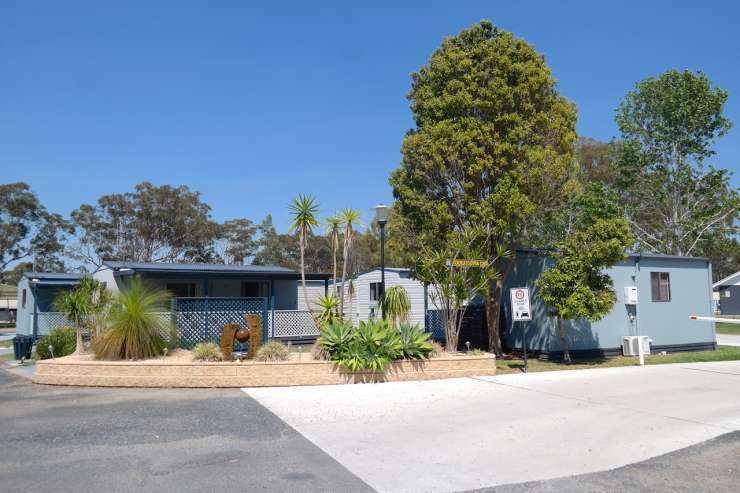 With 14 cabins altogether Big4 Colonial Holiday Park certainly has something to suit everybody. All cabins are supplied with linen and towels. Pets are allowed inside cabins provided they have their own bedding. 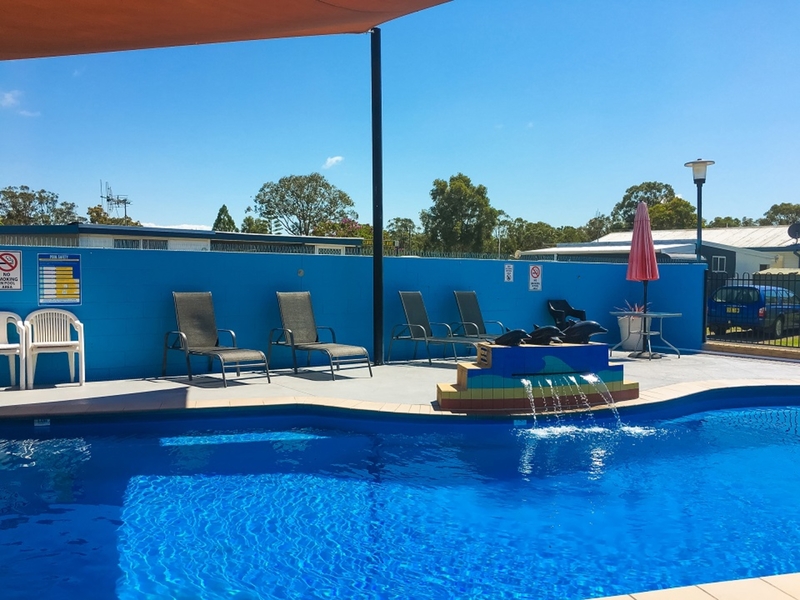 The outside verandah area is fully fenced and suitable for pets to be left outside. 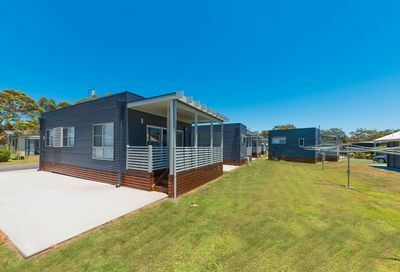 When it comes to cabins options, the open plan studio cabins are a budget friendly favourite for a quick stop over, they are fully self-contained with kitchen & ensuite and can sleep up to 4 people. The 4.5-star Executive 2-bedroom family units offer accommodation for up to 5 people in 2 separate bedrooms. 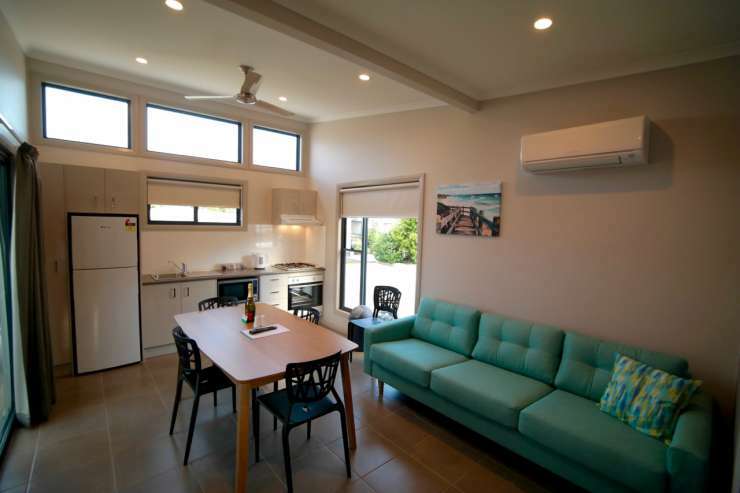 The modern open plan lounge, dining and kitchen make it perfect for a relaxing family holiday. An accessible cabin option is available now with ramp entry.